Sometimes there are more important things in life than golf and improving your world ranking. 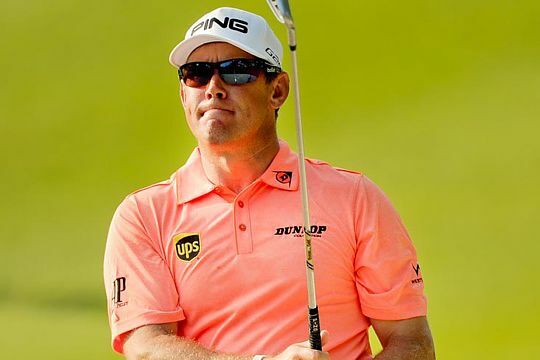 And for Lee Westwood, those things are now taking priority after the former world No 1 decided to quit the US PGA Tour and spend 2016 living and playing out of his native UK. Westwood made the big decision following a split with Laurae, his wife of 16 years. Laurae and Westwood’s two children Sam and Poppy have moved to Edinburgh in Scotland to be near her family, prompting Westwood to make the even-bigger move back from the US to be near them. Any golfer would agree it’s hard enough to concentrate when you are on the course but when there are off-course problems in the back of your mind, well, the task becomes even more difficult. Not that Westwood is the type to blame that for his current ranking of 44th in the world after being near the top when he first moved to the US. Instead the popular Englishman suggested it would all come down to hard work. “Unfortunately this year I’ve not really had time or been able to put into it, so it’s no surprise that the game has suffered a little bit,” he said. Yet Westwood desperately wants to be part of the 2016 Ryder Cup and suggests that even if he doesn’t make the team, he’d like to be part of the support team. Having played on every Ryder Cup since 1997, there’s no doubt European captain Darren Clarke would want him there again at Hazeltine in Minnesota next year. “I just need to get my ducks in a row and I can focus on golf again,” says Westwood. Westwood: Fifth major in the East?